In an unsettling case of child abuse, a South Carolina woman is accused of neglecting her two young sons so badly that one, a five-year-old, weighing near 19 pounds when discovered by authorities. 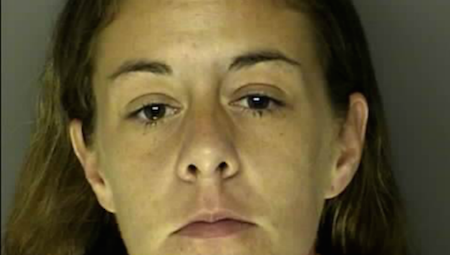 Though released on bond a month ago, Danielle Naughgle was arrested and charged with unlawful neglect of a child or helpless person after Horry County Police conducted a welfare check. Following a traffic stop, police went to Naughgle’s home and found two extremely emaciated children unsupervised with her not in the residence. The five-year-old child, who was reportedly found naked in a playpen surrounded by dirty dishes and sharp objects, was unresponsive and extremely thin, allegedly weighing only 19 pounds. This isn’t the first time that the police have been involved with Naughgle. Authorities had done welfare checks last September as well as just a month before making the disturbing discovery. When Naughgle encountered financial troubles, a woman named Kimberly Smith claimed she offered a helping hand to the mother, even giving her a place to stay. Though Smith said one of the children had cerebral policy and never looked healthy, she fed the kids on several occasions but didn’t want to step on the mother’s toes. When The Little Boys Opens The Door, I Can’t Stop Laughing!